The one with LACC's Cosmoprof booth! I had the pleasure of visiting a wonderful booth at Cosmoprof. 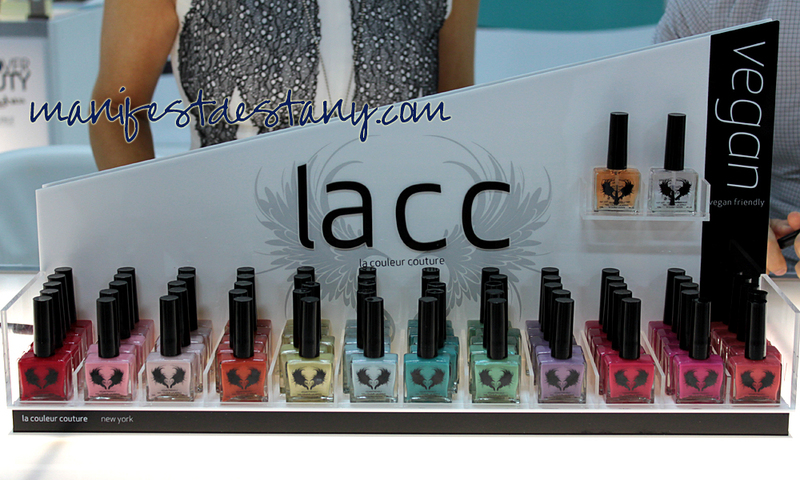 The booth was in the Spotlight Beauty section, and housed the polish line for LACC, or La Couleur Couture. Fashion-forward, sophisticated, and urban-edgy, La Couleur Couture provides a magnificent rainbow of high-shine hues to match. Our unique base coat formula ensures the longest lasting protection for your nails, while our top coat offers unmatched diamond-like shine. 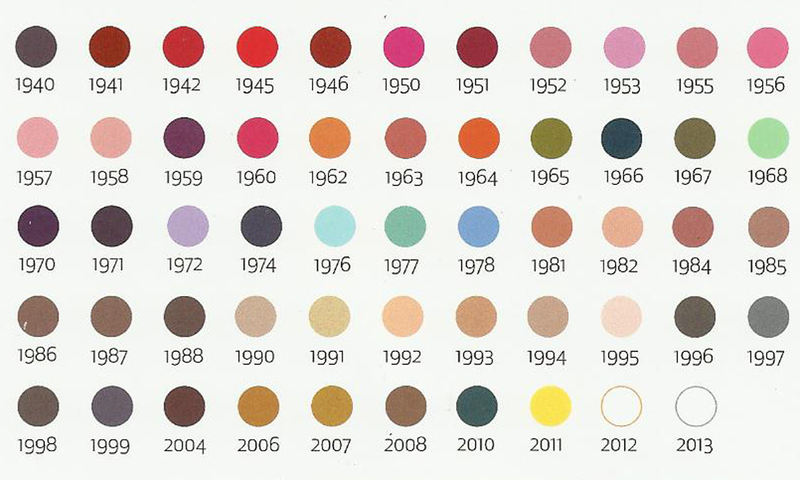 Our nail wear is ever-changing, as unique as the present moment, and as trendy as the future can be. That's a description from the LACC website. I had the pleasure of meeting Farima, the driving force behind the polish line, and she is so very passionate about her product! She shared with us her reasons behind starting a nail polish line - first and foremost being providing the safest products for all, but not dipping into the water-based field. She said water-based polishes hadn't worked well for her in the past, and she looked into other alternatives. She also shared a passion for children, and wanted to stress how safe these polishes are for children and expectant mothers. What she got was a chemical-free, UV inhibitor enhanced polish that is Big 3 free and super pigmented. Look at all the colors! The colors are named after years...not just numbers :) There is also a base coat and top coat to go along with the wide array of colors! These polishes will be launched next month at an event in Vancouver, BC, Canada. The polish is made in New York. 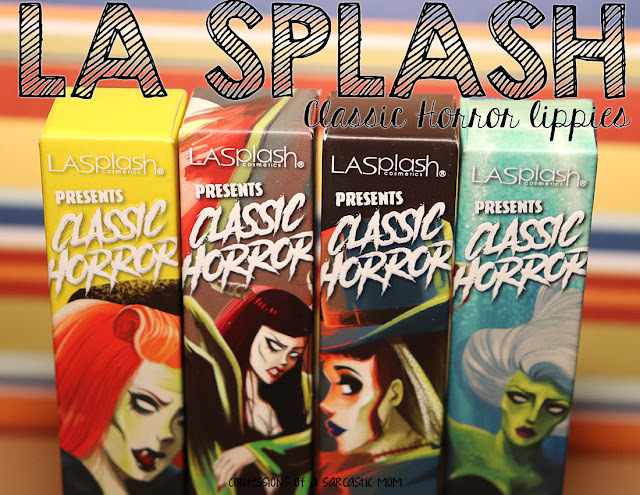 They are priced at $16 per bottle, and there will be an online store coming soon to purchase these! Farima noted that each polish is made, by her, with love.